Could Bernie Sanders lead a new political party? The goal is to convince Sen. Bernie Sanders (I-VT) that the Democratic Party is corrupt beyond redemption, and that the creation of a powerful new party is not only possible but one of the best things that could happen for the country and planet right now. 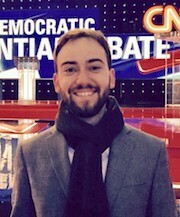 The launch of “Draft Bernie For A People’s Party” is led by Nicholas Brana, former national political outreach coordinator for Bernie 2016. “It’s the independents who hold the keys to all future elections in this country,” says Brana, pointing to the most recent Gallup poll conducted on party identification, which shows an increase in those who identify as independents. The number rose from an already-substantial 36% last November, before the general election, to a whopping 44% in January. Gallup estimates that number will rise to 48% by 2018, and by 2020 cross the 50% threshold. At that point, when Sanders or someone else in a new People’s Party might make a run for the White House, if indeed a majority of voters call themselves independent — the very designation that Sen. Sanders himself has held for most of his career—that candidate could theoretically be well positioned for victory. Brana has worked on Democratic campaigns and on Capitol Hill for years, and he believes the time is ripe for the creation of a progressive party that could overtake the Democratic Party as one half of the two party system. “Bernie has already laid the foundation,” Brana explains. “This is a logical extension of a campaign where millions rose up and, through $27 donations, thrust a man of integrity into the national spotlight and nearly into the White House.” Like the Sanders campaign, the grassroots movement the group envisions will employ social media, appeal to people across the political spectrum, and take no corporate donations. An announcement appearing yesterday on Huffington Post set forth the group’s intentions. In addition to Brana, the campaign to Draft Bernie is guided by a twelve-person steering committee. “These are staff and delegates who proved themselves to be incredible organizers at the top of the campaign, be it in field, national or digital coordinating,” Brana says. Steering committee members include Jonathan H. Martin, a professor at Framingham State University and an expert on third party politics; Paul Todd Fletcher, deputy research director with Bernie 2016; and Carol Ehrle, a public relations expert. 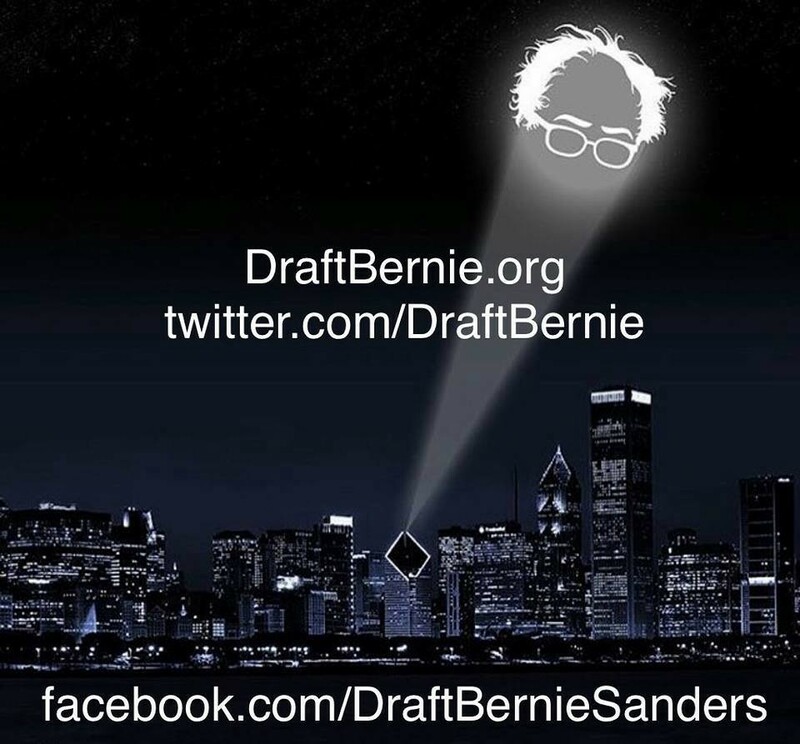 The steering committee and the supporters it is attracting plan to use petitions, parties, social media, donation pledges, and debates at college campuses in their attempt to grow the Draft Bernie campaign and persuade Sanders to join and start the new party. Dozens of his influential supporters are already working on the campaign, according to Brana. “We’d like to​ spark a conversation in the movement ​between reforming the Democrats and​ forming a new party,” says Brana. He asserts that even the most optimistic assessment of reforming the Democratic Party with a progressive chair would take thirty years and would involve replacing nearly all the elected state and congressional representatives backed by corporate money, plus hundreds of staff and leaders of the DNC and its affiliates — the DSCC, DCCC, DLCC, DGA, state party chairs, and state central committees. “Even the most progressive candidates for DNC chair haven’t proposed barring party members from accepting large campaign contributions, lobbyist gifts, or closing the revolving door between Washington and Wall Street,” says Brana, suggesting that there is simply too much endemic corruption at the top of the party for true reform ever to take place. While he calls efforts at the local level to take over the party, such as the most recent ADEMS elections in California, “laudable,” Brana says it’s ultimately “disingenuous” to think that such efforts will change anything at the top echelons where power is consolidated at the expense of the state delegations. A cover image on the new group’s Facebook page. In a more detailed essay he published in November, Sanders Can Be the Lincoln of Our Times, Brana lays out the fascinating history of the 1860s and also his vision of Sanders going full circle politically: Sanders began as an independent politician in Burlington, Vt., railing against the excesses of both parties, and it would be a return to his original principles to become the President of the United States in 2020 as a member of an independent party. The overwhelming response to that original article formed the catalyst and the basis for Draft Bernie for a People’s Party, says Brana. Does Bernie Sanders want to join a new party? He’s been enigmatic when directly asked by the media. He might do it next week, he might do it next year. He might be waiting to hear from you and your friends. Sign the petition. This petition will be delivered by hand to Bernie once a “large” number of signatures are gathered. Make a “conditional pledge.” This is a risk-free pledge to donate to the new party if Bernie Sanders agrees to join. 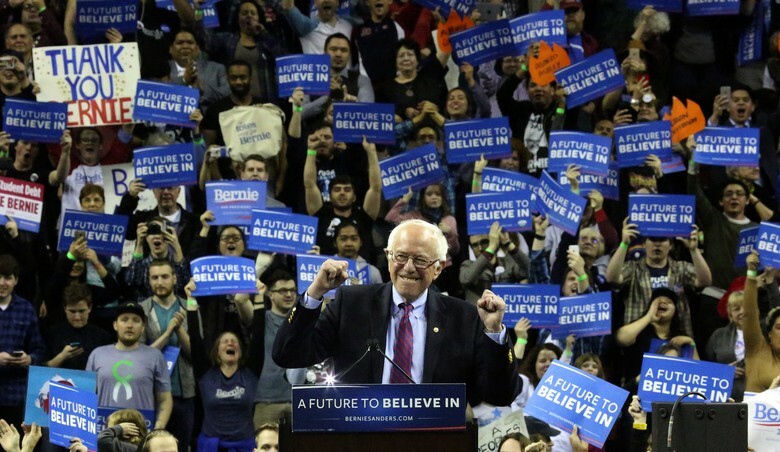 Your donation will not be withdrawn from your account unless and until Sanders officially joins the new party, but the amount at stake, perhaps more than the petition, will indicate the potential strength of the party and movement. Where rationalism and idealism meet.